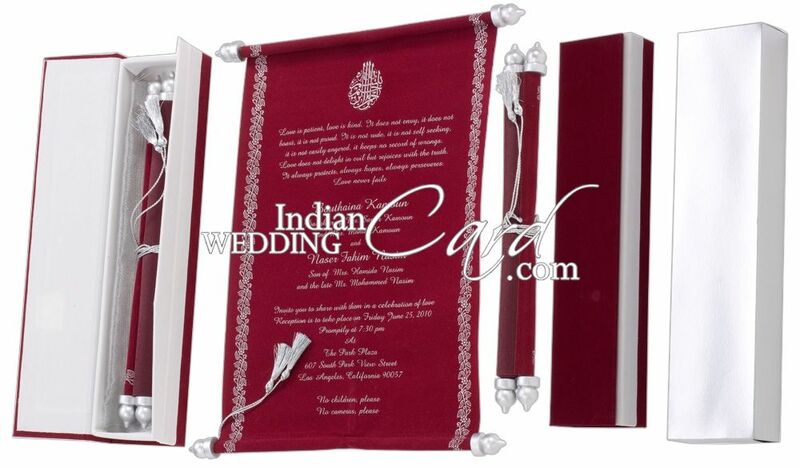 S1024, Red Color, Scroll Invitations, Box Scrolls, High End Scrolls, Fabric Scrolls. Soft and Silky. Made out in velvet this card is soothing and elegant. Maroon Scroll is kept inside the container in silver net. Combination of Red and Maroon velvet used for box, scroll and tassel Silver color self-textured paper for mailing box envelope.